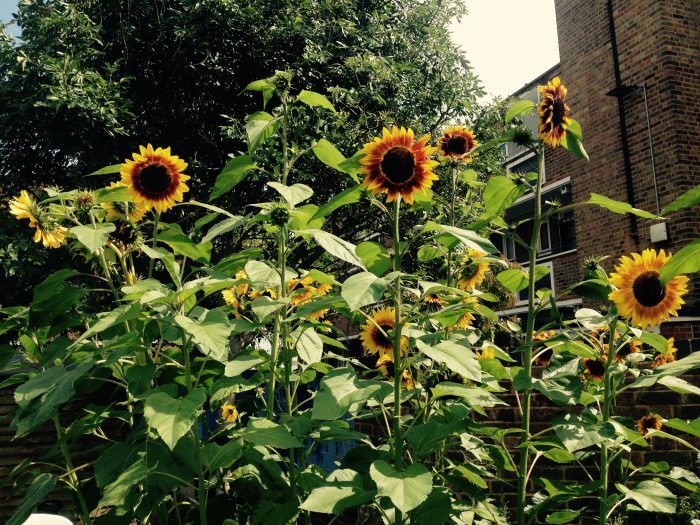 Since celebrating the Room to Heal 10th Anniversary in style at our Summer Party, we wanted to update you on what the community has been up to since: we continue to hold each other in times of difficulty, we continue to plant seeds and watch as hope flourishes and flowers despite adversity. With recent news revealing shocking levels of violence in immigration detention centres and ever-restrictive planned controls to migration limiting freedom of movement, the ‘hostile environment’ continues to impact our members in myriad ways. Further restrictions on NHS healthcare for ‘overseas visitors’, charging people up-front for non-urgent treatment, and requesting proof of address and identity documents instills visits to the doctors with fear and makes doctors surgeries into border controls. This impacts most on those with No Recourse to Public Funds (NRPF) who are prohibited from accessing specified welfare benefits and public housing. We are continuously researching grants organisations, for members on NRPF as well as those on meagre asylum support of £5 per day. 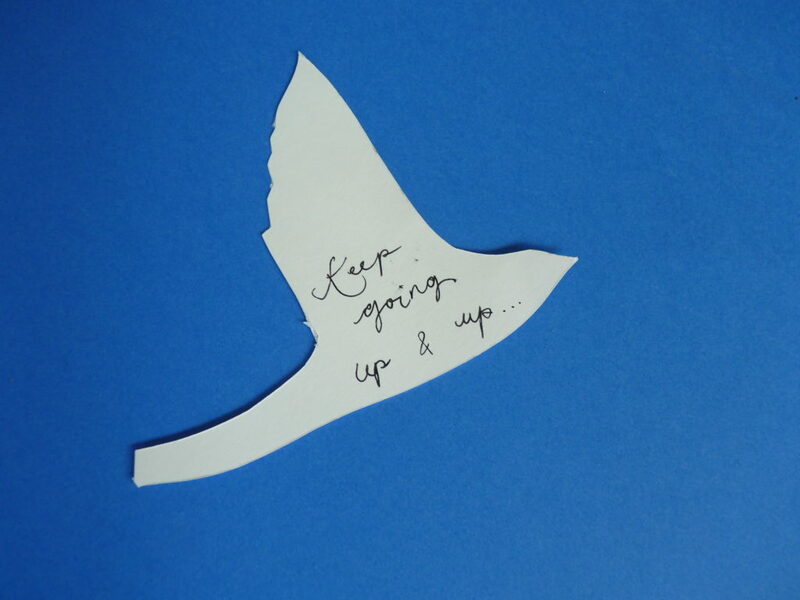 If any of you are aware of organisations with destitution funds do drop us a line (info@roomtoheal.org) and/or donate to our Just Giving page to contribute to our casework service. With the recent oscillation between sunshine and showers, the garden is looking particularly verdant and we were very excited to harvest the peanuts that we planted! We had a wonderful, relaxed time at Abbey Farm, an organic farm in Cirencester, for our Summer retreat. Read more about it here. Room to Heal run the 10k! 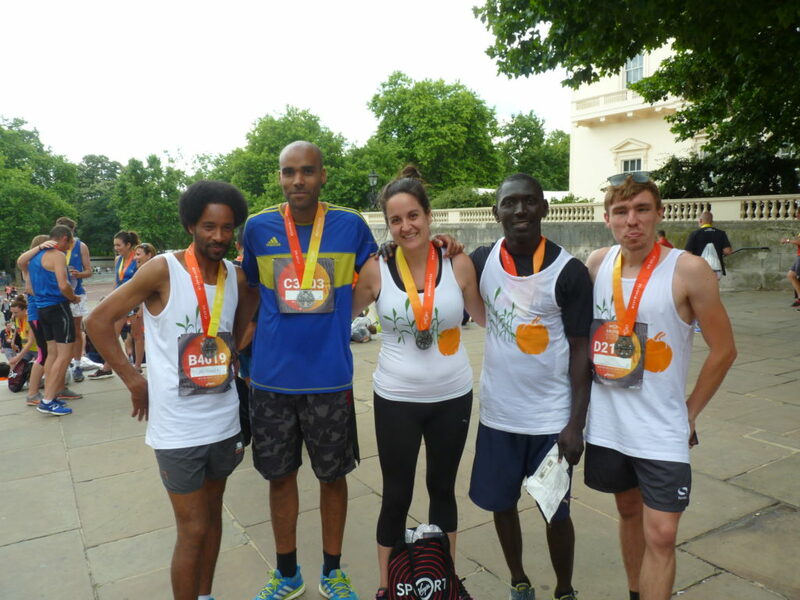 Thank you to Mamadou, Dame, Ella, Otto, Maria & Santi for running the 10k in the summer heatwave, fundraising for Room to Heal. Mamadou beat Mark Fish’s record from last year, and Dame came a mighty 14th out of 13,000 runners!! You can read more about the run on our website here. If you didn’t see our short film 10 years of creating community and restoring life after violence, then do have a look! And you can hear Izzy, our Outreach Coordinator talking about Room to Heal on this podcast here. Mark Fish, our director, was invited by the UN Fund for Victims of Torture to deliver training to the Prison Fellowship, in The Gambia who have started to work with survivors of torture in prisons. He co-facilitated experiential workshops to mental health professionals and social workers, such that people could learn the efficacy of group-work by active participation and self-reflection. You can read a bit more about it here. Both clinical and non-clinical staff have been continuing to benefit from monthly supervision. Discussing this facet of our community at the UN conference back in April with other frontline workers, we realised just how rare – and necessary – this provision of supervision is. As part of our outreach work and model sharing in the upcoming years, we’d love to see supervision rolled out to similar organisations and frontline workers, in the field here in London and internationally. We were sorry to say goodbye to our group therapist Ahmet Caglar whose gentle wisdom and kindness are missed by all. He was involved with Room to Heal right from the start, as a trustee of Culpeper Community Garden where the seed of Room to Heal was planted. But we are very happy to welcome our new group therapist, Theresa Ryan-Enright, whose clinical experience and positive presence is already an asset to the team. 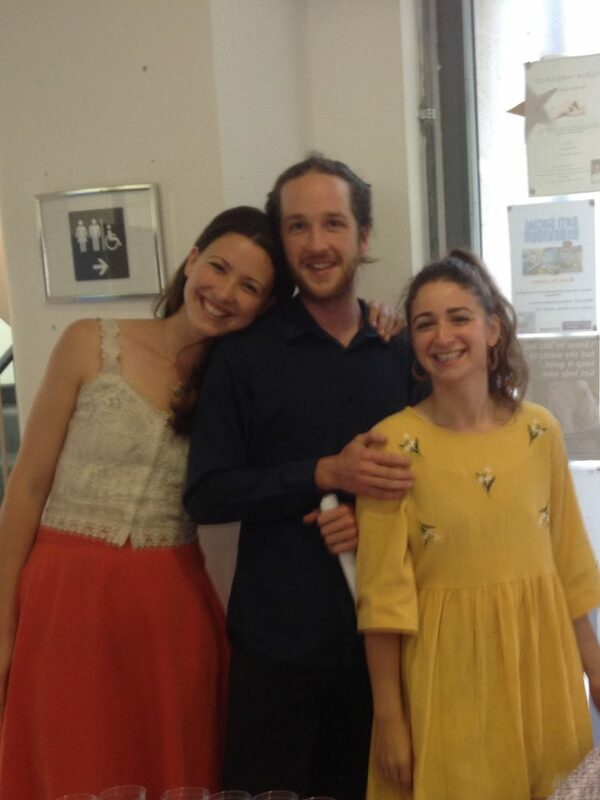 We were also sorry to say goodbye to Tom Mayer, our clinical administrator of three years, who is off to Berlin to theatre school. We wish him our luck and love, he has been a central part of our team over the last three years and will be missed hugely by everyone. Anna Perego, who previously volunteered her wonderful culinary skills each week and more, has taken on the administrative reins and started this September. 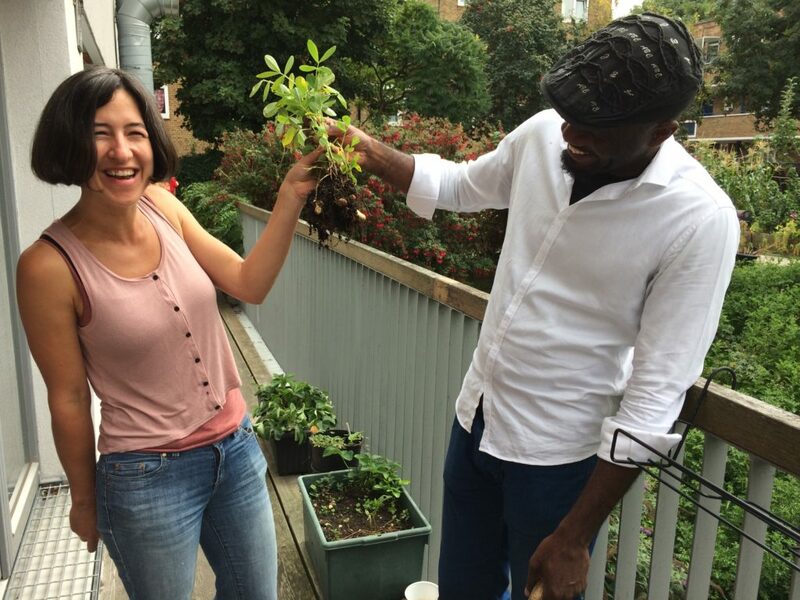 We are currently recruiting a new community volunteer to help facilitate our Friday cooking socials in the Culpeper garden. Apply by 25th September and find out more here. We’d like to say a big thank you to superstar Marc Sutton who has been beavering away at building the Room to Heal clinical database, it is now live, and Marc has been incredibly patient with us all while we get to grips with the new system. Many thanks to the Tudor Trust for funding this. If you are not already an existing donor, we’d be hugely grateful for your support – from contributing to reimbursing travel fares for members to come to group therapy, to buying tools for the gardening group and ingredients for our community meals, your money goes directly to where the community most needs it. Please do donate via our JustGiving page.